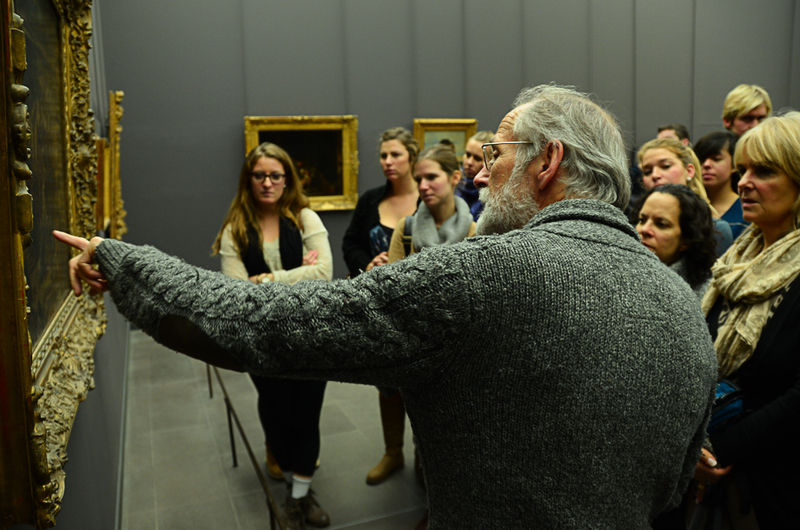 All students interested in art should consider the Marchutz Core Program. The interdisciplinary approach of the Core Program combines daily personal practice in painting and drawing with readings in literature and philosophy in the Art Criticism and Aesthetics group seminar. The term is further enriched by training workshops and field studies to the actual motifs of Cézanne and Van Gogh throughout the south of France. In the fall, students travel to the museums of Paris and Monet's garden in Giverny. The spring semester culminates in a week-long painting excursion to Venice. One of the invaluable resources of the Marchutz School is a diverse community of personal backgrounds and interests. It is not uncommon to find skilled painters, studio artists, and art historians working alongside students of architecture, psychology, English, French, philosophy, and even biochemistry -- some of whom have never drawn before. No formal artistic experience is necessary to apply and thrive. The semester Core Program consists of three courses. In addition, students take one French course and are encouraged to enroll in one elective course at IAU's School of Humanities and Social Sciences. Art Criticism Seminar: The Art Criticism Seminar offers the student access to a wide variety of images (architectural, sculptural, painted, etc.). The objective of this course is to improve critical awareness and to refine judgment based on an exploration of universal principles through visual experience. The seminar takes students into an in-depth study of the basic elements of form: color, value, light and volume. Artworks and texts from varying periods and cultures throughout history are compared and contrasted to explore diverse issues such as the imagination, symbol in art, Zen principles in eastern art, motif, and tradition. The seminar includes excursions to Paris and Giverny in the fall, and Venice in the spring. 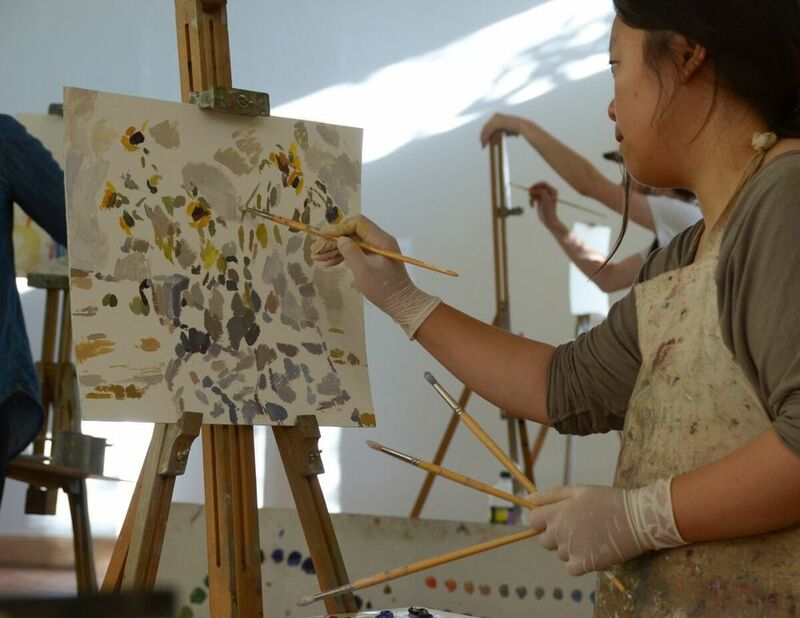 Painting and Drawing Studios: The studio painting and drawing courses aim to develop student’s capacity to look both into the visible world and into themselves with the intention of transforming their vision into art. Students enroll in one painting and one drawing course which often merge into a single studio practice. See course descriptions below for more details. Students enrolled in the Core Program also have the possibility of creating a 3-credit independent study project in relation to their particular field. Students in art related fields of study can fulfill their studio requirements, or art history requirements in the required program as well as integrate a focus in their major through an independent study designed by the Marchutz faculty or at their home institution. The Summer Core Program consists of one painting and drawing class along with the art criticism seminar (for a total of six credits), and students may choose to enroll in any third course at IAU College which does not conflict. ART 100/200/300/400: Drawing (Core - Fall/Spring Semester) - The overarching purpose of the studio drawing courses, at all levels, is to develop the student’s capacity to look both into the visible world and into themselves with the intention of transforming their vision into art. The student is led gradually toward a deeper understanding of the relationship between natural and artistic forms. This is achieved through disciplined study in the landscape, through portraiture and model work and museum study. Combined total of 6hours of instruction per week in both the studio and outside in the landscape, as well as excursions to European museums. ART 130/230/330: Painting (Core - Fall/Spring Semester) - The overarching purpose of the studio painting courses, at all levels, is to develop the student’s capacity to look both into the visible world and into themselves with the intention of transforming their vision into art. The student is led gradually towards a deeper understanding of the relationship between natural and artistic forms. This is achieved through disciplined study in the landscape, through portraiture and model work and museum study. Combined total of 6hours of instruction per week in both the studio and outside in the landscape, as well as excursions to European museums. ART 309: Art Criticism and Aesthetics Seminar I (Core - Fall Semester) - The Art Criticism seminar offers the student access to a wide variety of images (architectural, sculptural, painted, etc.). The objective of this course is to improve critical awareness and to refine judgment based on an exploration of universal principles through visual experience. The seminar takes students into an in-depth study of the basic elements of form: color, value, light and volume. Field studies included. ART 310: Art Criticism and Aesthetics Seminar II (Core- Spring Semester) - Artworks and texts from varying periods and cultures throughout history are compared and contrasted to explore diverse issues such as the imagination, symbol in art, Zen principles in eastern art, motif and tradition. Field studies included. ART 398: Independent Studio Study I (Optional) - Directed individual study for the advanced student. Students propose a semester-long project that requires approval by The Marchutz School director. Enrollment based on review of transcript and/or portfolio. ART 311: Art Criticism and Aesthetics (Required) - Intensive critical and comparative analysis of works from different periods and cultures, with an emphasis on the relationship between content and form. ART 107/207/307: Painting and Drawing (Required) - The overarching purpose of the painting and drawing courses, at all levels, is to develop the student’s capacity to look both into the visible world and into themselves with the intention of transforming their vision into art. The student is led gradually toward a deeper understanding of the relationship between natural and artistic forms. This is achieved through disciplined study in the landscape, through portraiture and model work and museum study. 90 contact hours. ART 311 is a co-requisite. For complete course listings, please visit IAU College's summer and semester course pages.